You can reach this little island in just an hour via a hydrofoil ferry that departs from the Port of Piraeus. 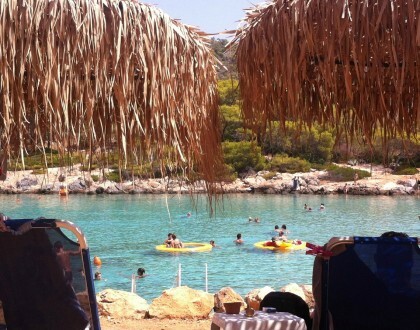 It’s very popular as a weekend getaway for Athenians due to its close proximity. It also has some pretty beaches. You can get around by bus or taxi. A highlight during one summer weekend there was lounging at a tiny private island off its shore called Aponissos.